Nourishment has an important role to play in safeguarding the health of the toddlers. Malnourishment can result in weakness among the toddlers. If you have this strong desire of seeing your toddler smart, active, happy and growing, it is important for you to give the right food to your baby. Feeding a toddler can be a little tricky. Every mother wants her child to eat sufficient with the meals for the toddler being nutritious and not consisting of any kind of junk. The main objective behind providing the best foods for toddlers is to offer some of the most important nutrients. 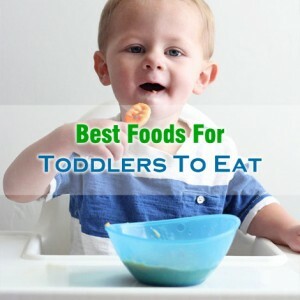 Let us have a look at the best foods for toddlers that need to be given to babies. You can give your toddler a small container of berries and yogurt. You must teach them to dip the berries in yogurt and enjoy them to the fullest. Vegetables need to be added to the diet of a toddler. Vegetables are full of important nutrients and they can always be of good help in safeguarding the health of the baby. Finely grated and chopped vegetables like courgettes, peppers, swede and carrots are the best staples for babies. Eggs are rich in their content of protein and they can serve as the best foods for toddlers. They contain vitamin D which is of good help in allowing the baby’s body to absorb calcium. Another great food for toddlers is oatmeal that helps the kids in paying attention and concentrating on different things. Oatmeal is a fiber-rich whole grain that can be digested slowly and provides kids with good energy. Different types of fruits always turn out to be very beneficial for toddlers. Fruits provide the required minerals and vitamins and they also contain fiber that offers the best nutritional benefits.